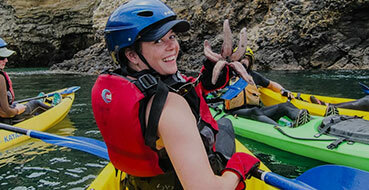 Santa Barbara Adventure Company is pleased to announce it has received American Camp Association Accreditation. ACA-Accredited® programs meet up to 300 standards for health, safety, and program quality and comply with the highest standards in the industry. For over 100 years, the ACA has been a leading authority in youth development providing children and adults with the opportunity to learn powerful lessons in community, character-building, skill development, and healthy living — lessons that can be learned nowhere else. More information on ACA Accreditation.